The Atkin’s Diet. The Scarsdale Diet. The Banana Diet. In a world of hard-to-keep, outlandish, and deprivation diets, a balanced diet composed of healthy and vitamin-packed food is finally “in.” There’s been a lot of talk on exotic superfoods such as acai and gogi berries and quinoa, but typical staple grocery items also belong to this category. They include blueberries, broccoli, salmon, and chicken. 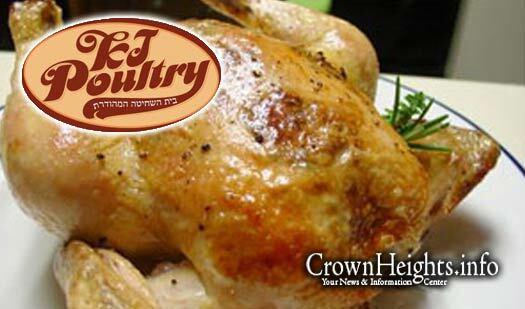 KJ Poultry is a family company that has been providing people with kosher chicken for years, holding its full product line of chicken, turkey, and deli meat to the highest standards of kashrut and quality. Recently, the company has re-committed itself to those goals, and is making its products, notably its boneless chicken cutlets, available to a wider market of communities throughout the five boroughs. Thanks to KJ Poultry, chicken is now not only a superfood that is super-healthy and super-fast, but super-kosher as well. KJ’s plant, located in upstate New York, is meticulous and in pristine condition. Besides for the well-trained kosher supervisors and rabbis that ensure kashrut standards, the typical plant workers are religious members from nearby communities and are well-educated in koshering techniques and ethical and halachic treatment of the chickens. Extreme sensitivity is carefully held to at the plant, and chickens are shielded from watching the shechita of another chicken. Knives are routinely checked for sharpness so that chickens do not suffer any unnecessary or drawn-out pain from the process. Inspectors are lined up along the conveyer belt to carefully examine the correct removal of the veins, a sign of kashrut on the chickens. USDA inspectors then witness the chickens being processed through a machine, before rabbinic kosher supervisors again check the chickens’ lungs and smoothness to ensure a top-notch job. Then it’s on to salting and soaking, where chickens go through three rinsing processes as required by both mehadrin (the utmost level of kosher) and USDA standards. Only chickens that meet all standards are then sent out to the retail markets, and all chickens that end up on the shelves have not been released from the factory more than 24 hours earlier. There are a lot of kosher poultry companies on the market, but those who purchase KJ poultry can rest assured with the knowledge that the product they are buying is not only healthy, versatile, and easy to prepare, but meets the strictest standard of kashrut. While KJ Poultry has a full line of chicken, turkey, and deli meats, its most popular product is its boneless skinless chicken breast. A boneless, skinless chicken breast, the leanest part of the bird, is a mere 120 calories; just four ounces of chicken provides over 65 percent of the daily RDA of protein. Keeping up with society’s interest in health and convenience, and adhering to the highest criterion for kashrut, is all in a day’s work for KJ Poultry.